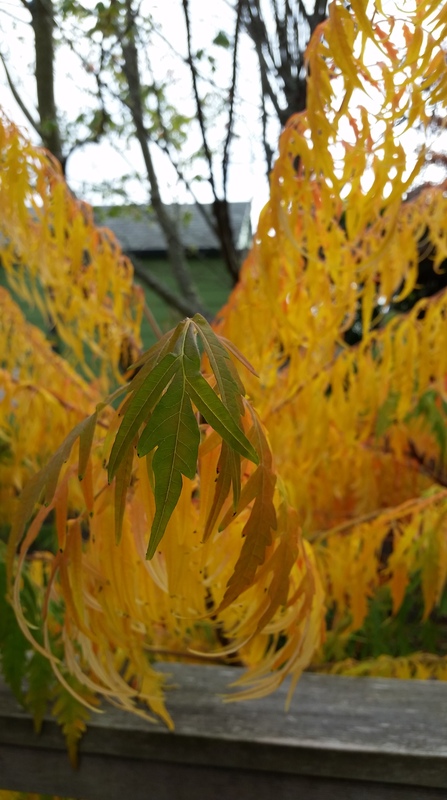 I haven’t spent an autumn here in the States before and I’m amazed by the colours of the leaves. I knew it was supposed to be quite something on the east coast (we foreigners always hear about the Boston area) but I didn’t know it would be so vibrant here on the west coast too. 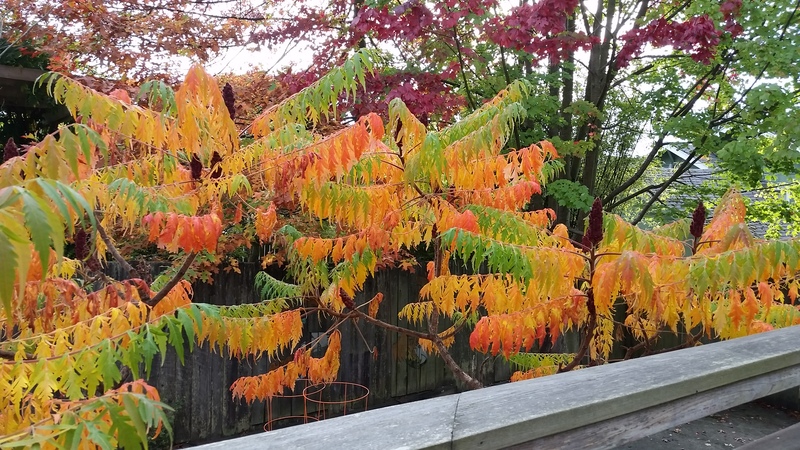 I’m from Scotland and I always thought our autumns were fairly colourful, but they’re nothing compared to what is in my garden. Yep, my garden! Wow! Lovely. But what does this have to do with fabric or craft? 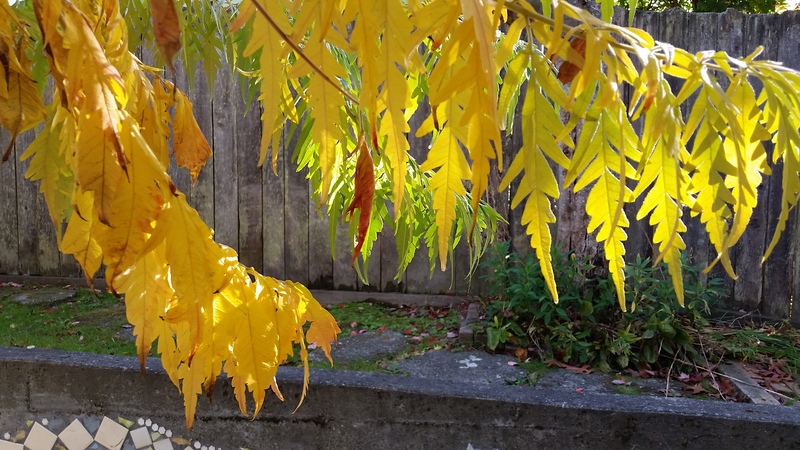 Well, I enjoyed taking pictures of the garden this morning and then took my little ‘un to the doctor for his checkup. 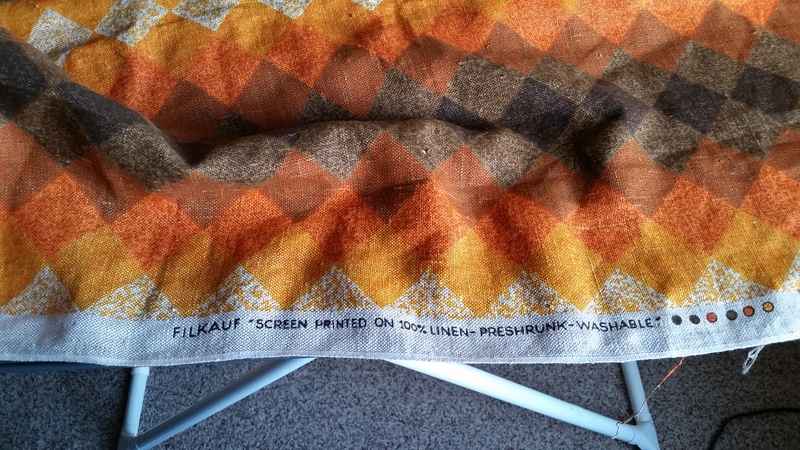 On the way back I popped into the local thrift shop for a nosey around and came across this fabric, by a company called “Filkauf”. I guess you can see the connection. 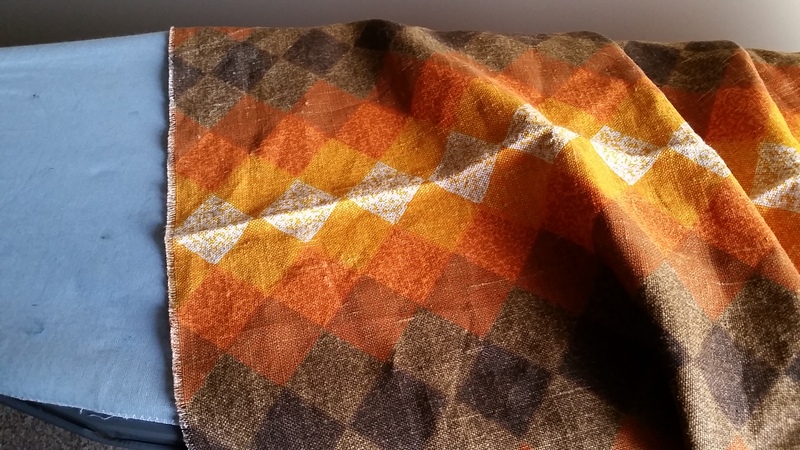 Filkauf – a Scandinavian 60’s fabric it seems? It’s a lovely linen with a medium-heavy weight and I think it would be perfect for some cushions or maybe even a bag with some lining. You can perhaps see the colours better below. I’m looking forward to doing something with it and it seemed like one of those little coincidences that happens every now and then, so I thought I’d post about it. Nice!